Runners registered for the 2018 Air Force Marathon who can no longer participate can transfer their registrations to others soon. Upwards of 15,000 runners participate annually in various marathon events over three days in September. 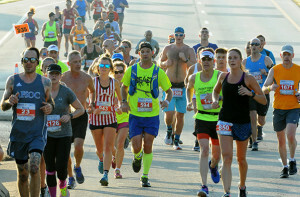 Registered runners unable to participate in the Air Force Marathon Sept. 15 now have a way to pass their registration onto another using the Race Transfer Program. “The transfer program is the only official way for runners to give their bib to another runner,” said Race Director Brandon Hough. The transfer program opens Aug. 27 and runs through Aug. 31. Runners who wish to transfer their bib will be able to log on to the Air Force Marathon website, click “Transfer Now,” fill out the online form and receive a special code. They can then give that code to another person who can use it to transfer into the same race. 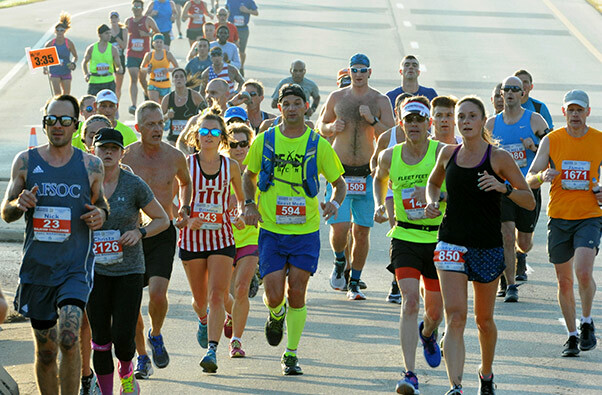 While the Air Force Marathon doesn’t facilitate transfers between individuals, transfer connections can be made on the Air Force Marathon Facebook page, via Twitter or through personal acquaintances. 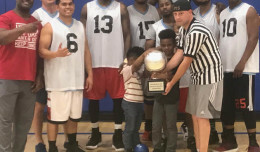 Cost to use the transfer program is $10 per transfer and charges will apply only to the person transferring into a race. This is the only official way to transfer a bib. Hough says runners found on the course wearing someone else’s bib that was not transferred properly will be removed and are subject to being barred from future participation. The Air Force Marathon, presented by Northrop Grumman, USAA and Boeing, is scheduled for Sept. 15, 2018. 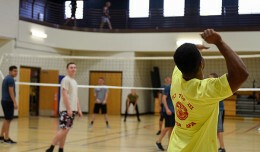 The Sports & Fitness Expo is held at Wright State University’s Nutter Center and is scheduled for Sept.13 and Sept. 14. The event will also feature a Gourmet Pasta Dinner and Breakfast of Champions scheduled for Sept. 14. 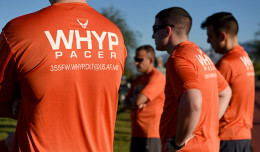 Get more information about the race at www.usafmarathon.com.